Limoncello bread pudding recipe is a perfect light summer dessert. Refreshing and Lightly lemony. The dessert is easy to make, too. It has all the rich surface and warm flavors that make bread pudding such an encouraging pastry. This pastry is made with the most essential of fixings: milk, bread, sugar. You needn’t bother with chocolate, icing or a preparing blend of any kind. Which makes this the ideal treat for a day off or whenever truly. As the name says, it’s about the bread and any bread will do. From sandwich bread to croissants and stale panettone, everything works and in less than 60 minutes. When you ace this formula, you can add just about anything for a different twist on the basic pudding recipe. Bread pudding has the most plebeian of sources, however, it currently appears on the pastry menus of upscale eateries. Sustenance students of history follow the historical backdrop of bread pudding to the mid-eleventh and twelfth hundreds of years, as thrifty cooks searching for approaches to utilize stale, extra bread as opposed to releasing it to squander. “Poor man’s pudding” is what they call a bread pudding in thirteenth-century England since it was a prevalent dish with the lower classes. While bread pudding is as yet an approach to use remaining bread, it has picked up a notoriety for being a comfort nourishment and is an included sweet thing in popular foundations, having shed its modest roots. Fundamentally, the dish is made by layering bits of bread and include in a dish and pouring a custard sauce over before preparing. The conceivable outcomes for the dish are unending, on the grounds that cooks can fluctuate the sort of bread and any fixings they include. 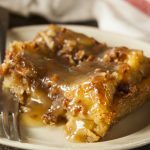 Bread pudding is an old-fashioned dessert that was probably created as a way to use up stale bread. But when you include Limoncello to bread pudding you will be able to make a moist and delicious, lemon-flavored gourmet dessert. Using a good bakery loaf or brioche or home-style white bread will work in this dessert. The flavor, texture and the quick and easy preparation make this outstanding to serve after a delightful meal. It can also be served as a snack. The fresh, lemony flavor will remind you of spring and warm summer days. 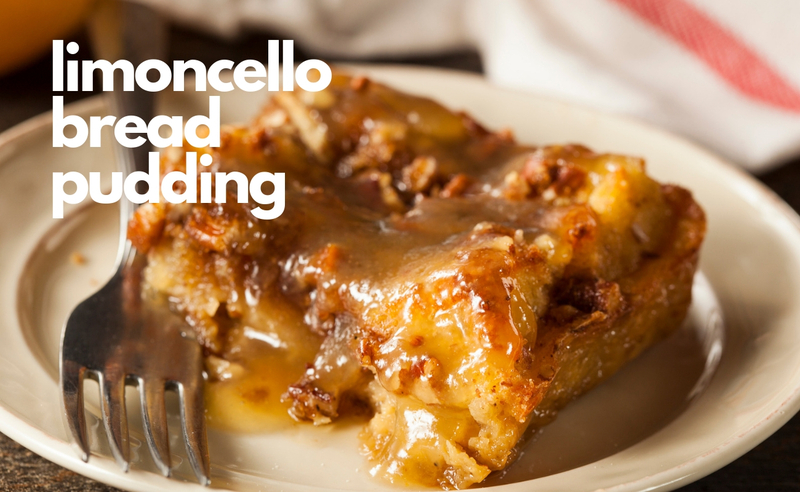 This bread pudding recipe is made with Limoncello as the main ingredients. Simply delicious. Cube bread and place in a 9x9x2 baking dish. In a mixing bowl, whisk together the Heavy Cream, Milk, Eggs, Sugar, Vanilla Extract, and Limoncello. Pour over bread. Cover with foil and bake at 350 for 40-50 minutes, or until pudding is set. In a small saucepan, bring limoncello and sugar to a boil and stir thoroughly to dissolve sugar. Pour over pudding. Top with one scoop of vanilla ice-cream before serving. For a kid-friendly version, try the one without limoncello. Pour milk on top of the freshly baked pudding for a tastier treat. You can bake the Limoncello bread pudding a day or 2 ahead of serving. To reheat the pudding, cut the bread pudding into squares and place on serving plates. Then heat each serving in the microwave for 20 to 30 seconds. Lastly, add Limoncello syrup and ice cream. It is important to use stale bread since it takes in liquid ingredients easily. Alternatively, you can use fresh bread but has to be dried in the oven for 10 minutes. Fresh bread can also be set out overnight to make a perfect pudding. Loosely measure bread cubes and not packed tight in a measuring cup. The density of the bread changes with how much liquid is being poured on it. Have a go at making bread pudding in the moderate cooker – our mystery weapon when enormous occasions and social affairs mean broiler space is rare.